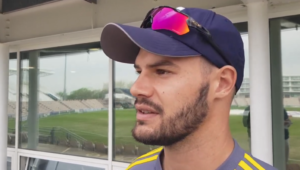 Proteas Women’s 20-year-old wicketkeeper-batter Faye Tunnicliffe is relishing the chance to fill the keeper’s gloves for the national side in the absence of established keepers Trisha Chetty and Lizelle Lee. 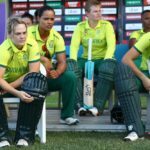 Proteas Women captain Dané van Niekerk says the performances from the junior players in the T20I series against Sri Lanka was a wake-up call for the senior players. 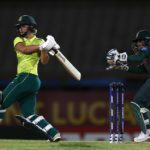 Sune Luus did it again for the Proteas Women as her efforts with both bat and ball helped South Africa to a 39-run win over Sri Lanka in the final T20I – sealing a 3-0 whitewash over the visitors. 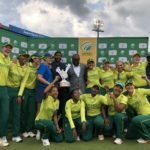 Proteas Women’s allrounder Sune Luus brought out one of her best performances at the Wanderers to secure South Africa’s two-wicket victory and clinch Sunday’s Turbo Bowler accolade, writes ANITHA MADIKIZELA. 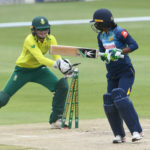 Sune Luus’ superb five-for saw the Sri Lanka Women skittled for 105 to set up a two-wicket win for the Proteas Women, KHALID MOHIDIN reports. 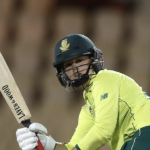 Dane van Niekerk took 3-12 and scored 71 to secure a seven-wicket win for the Proteas Women, reports KHALID MOHIDIN from Newlands. The Proteas women’s squads for February’s series against Sri Lanka have been announced. 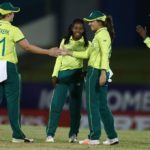 Proteas Women head coach Hilton Moreeng is happy with the form of his players at their national camp in January ahead of the inbound tour against Sri Lanka in February. 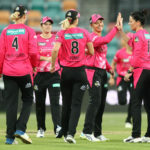 Marizanne Kapp ripped the heart out of the Hobart Hurricanes top order as the Sydney Sixers won by 17 runs to stay on top of the Women’s Big Bash League alongside the Sydney Thunder. 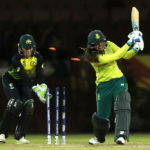 Mignon du Preez was on fire as she spurred the Melbourne Stars to a last-over win against the Hobart Hurricanes in the Women’s Big Bash League on Saturday. 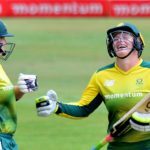 The Proteas Women recorded their highest score of the 2018 Women’s World T20 as they romped home to a 30-run win in their final match against the Bangladesh Women at Gros Islet. 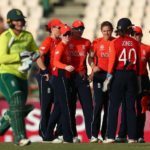 The Proteas Women failed with the bat for the third time in the Women’s World T20 tournament in the West Indies, and Friday’s loss to the England Women’s side by seven wickets sees the Proteas eliminated from the tournament. 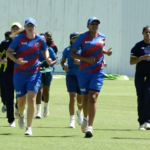 The dust won’t have settled on the opening match of the Mzansi Super League when the Proteas Women start their must-win Women’s World T20 match against the mighty England Women, writes SIMON LEWIS. 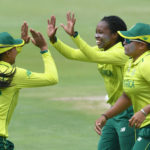 South Africa’s hopes in the Women’s World T20 hang on their batters coming to the party, and that requires the Proteas Women to click into the right mind frame.